For successful summer holidays in the mountains, book your accommodation to Saint Jean d'Arves in Northern Alps massive, Savoie. This mountain resort will offer you exceptionnal areas and surprising landscapes. 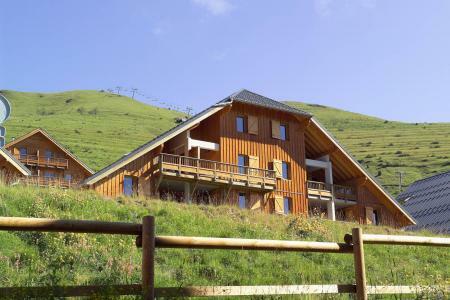 Your summer accommodation to Saint Jean d'Arves will be for you a moment of wellness in the heart of a beautiful nature and you will spend holidays in wide open spaces. Our moutain offers will make you live warm emotions with all your family. We propose you quality holidays accommodation in all French massives, in the heart of mountains. 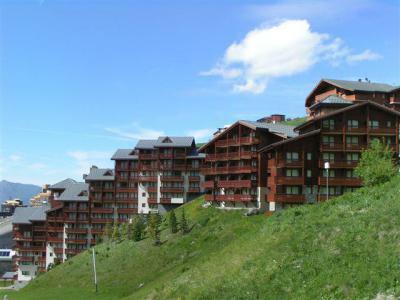 We have many residences to rent for your summer to Saint Jean d'Arves. Let yourself be carried by a feeling of happiness, enjoy the summer holidays in the mountains full of sun and discoveries ! 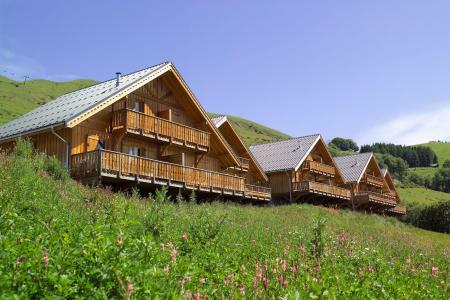 Located at 100 m from the center of the resort , the " Chalets de la Fontaine " are composed of 11 small traditional wooden chalets, each with 2 to 4 apartments to welcome 4 to 10 persons. Facilities : TV, equipped kitchen, terrace. On site : bakery, small supermarket, restaurant. Exceptional : the private heated indoor swimming pool (12m x 6m) close to the entrance hall, which is at your disposal as well as a lounge with fire-place, and 2 saunas.Near the chalets : parking and shops. "Les Chalets des Ecourts" is a high-quality residence. Both its indoor and outdoor services make it really authentic and modern. The residence is made of 27 small wooden chalets of 5 accommodations each. All apartments benefit from Southern exposure. It is located in "Les Chambons district" where some shops and restaurants can be found, and 1,5 km from "La Chal district" where most of the shops are. Situated in the heart of the Alps, in the Sybelles region, Saint Jean d'Arves (a traditional village) offers incomparable and beautiful landscapes which benefit from an exceptional climate. The location is renowned for its pure air and its calm and relaxing atmosphere : mountain walks and snowshoe excursions will allow you to discover the mountain scenery. La Fontaine du Roi*** is composed of 8 traditional wooden chalets, each with 10 to 15 apartments to welcome 4 to 12 persons. Facilities : TV, parking for each apartment. On site : bakery, small supermarket, restaurant. Unique to the resort is the private heated indoor swimming pool (12m x 6m), which is at your disposal as well as a lounge with bar and fire-place, 2 saunas. Near the chalets : parking and shops. The apartments, each between of 26 to 75 m², have a terrace of 6 - 8 m², a well equipped kitchen with 4 hobs, microwave with oven and grill, dish-washer, refrigerator, bath room, WC, TV. 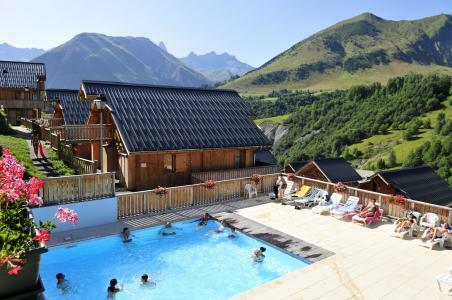 Situated in La Chal hamlet, at 100 m from the village of Saint Jean d'Arves, where are all shops and amenities. This block consists of 20 chalets made of wood on 3 levels, each with 6 apartments. The Chalets are in wood, Savoyard style, south exposure, with a beautiful view over Les Aiguilles d'Arves. You will take advantage of the free open air and warm swimming pool. You can park your car in front of the residence. Residence "Les Eterlous"&period; In the centre of la station&period; In the house&colon; lift&comma; storage room for skis&period; Shop&comma; shopping centre 100 m&period; Skisport facilities 150 m&comma; slopes 50 m&period; IMPORTANT: Due to the "Tour de France 2019" and the "Etape du Tour", arrivals and departures will not be possible on Sunday, July 21st and Saturday, July 27th, the road will be closed. On Friday, July 26th, traffic will be possible ONLY before noon. Please, check information from "Info Route" for traffic conditions.. The Gentianes Residence, with elevator, is located in the Bouquetins area. Few minutes away from the Bruyères area and its many shops, restaurants, cinema and oustide heated swimming-pool. IMPORTANT: Due to the "Tour de France 2019" and the "Etape du Tour", arrivals and departures will not be possible on Sunday, July 21st and Saturday, July 27th, the road will be closed. On Friday, July 26th, traffic will be possible ONLY before noon. Please, check information from "Info Route" for traffic conditions.. The Valmont Residence,with lift, is situated in the "Balcons de Bruyères" area. 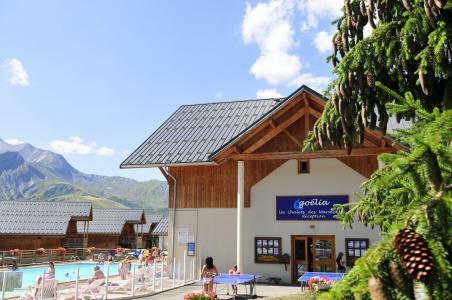 Those 2 building are next to the Bruyères gondola to start your hike and 100 meters away from the Bruyères outside swimming-pool and all amenities of this area. All the apartments offer a splendid view on the mountain. IMPORTANT: Due to the "Tour de France 2019" and the "Etape du Tour", arrivals and departures will not be possible on Sunday, July 21st and Saturday, July 27th, the road will be closed. On Friday, July 26th, traffic will be possible ONLY before noon. Please, check information from "Info Route" for traffic conditions.. The residence Le Village des Lapons A is composed of 68 apartments spread over 3 chalets and on four floors (with lift) in Les Saisies resort. This small residence with a Savoyard style benefit from an exceptionnal situated, in Chapelle district. 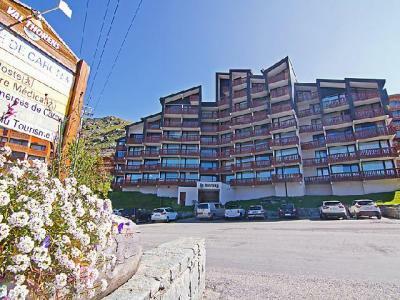 It is located 200 m from the ski lifts. The village center and shops are situated 600 m from the building.